Assuming that Yor, the Hunter from the Future is some lost masterpiece of a bygone era would likely be your first misstep if you’re an investigative film fan. This 1983 effort is considered to be, by and large, a guilty pleasure (although I don’t believe in such things) to many who claim to enjoy it. Reb Brown stars as the titular Yor, a heroic barbarian in a prehistoric world of dinosaurs and cavemen. After meeting a father and his daughter and defending them from a group of blue-skinned cavemen, they follow Yor as he treks across the landscape in search of his beginnings. However, something about Yor is different from other men, and they’re soon to learn that the world they’re living in isn’t quite what it seems and that an old enemy is waiting for their arrival. Director Antonio Margheriti (Killer Fish, Web of the Spider, and The Long Hair of Death) helmed this Italian/French/Turkish-produced hybrid during the period of the 1980s when swords and sorcery “epics” were lucrative for many producing entities. 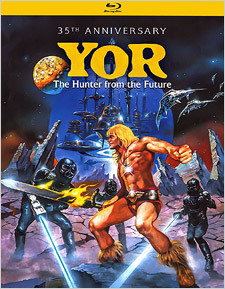 Although based upon the Argentinean comic book simply titled “Yor”, the film is clearly modeled after the success of Conan The Barbarian, taking that film’s basic elements and running with them in different directions. The performances aren’t good and the special effects are laughable, but there’s a low budget charm akin to something like Starcrash or Robot Jox, both of which I’m a big fan of. Yor, the Hunter from the Future may not be a work of art, but it’s highly entertaining regardless. We don’t really know a whole lot about the source of the film’s transfer for this new 35th Anniversary Blu-ray release, but it’s clearly not a brand new one. It’s a step up from DVD, but it still carries much of its previous visual flaws in its presentation. The source also looks to be from less than savory elements, but detail has a slight boost as costumes and skin textures are a little sharper than before. Saturation isn’t all that bold, but is well-represented otherwise. Black levels aren’t all that deep but overall contrast and brightness are acceptable, despite the dilapidated quality of the source. Audio is presented via an English 2.0 LPCM track with optional English subtitles. Much like its video counterpart, the audio isn’t on par with other restorations of similar films. It’s not all bad news though. The film’s gloriously inappropriate and cheesy theme song, although lacking punch, is still as enjoyable as ever. Dialogue exchanges are decent, although sync is an issue from time to time. Sound effects and score lack strong fidelity, but the soundtrack as a whole is up to the task with adequate but passable results. 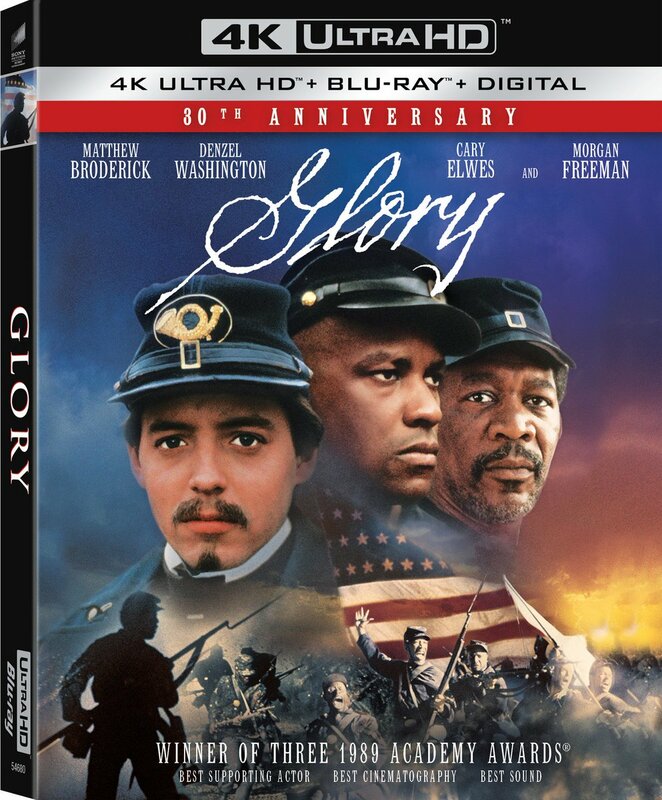 There are only two extras included: a new audio commentary with Reb Brown and the original theatrical trailer in HD. The commentary is lively and satisfying as Brown watches the movie by himself and talks about the process of making it, laughing his way throughout it. A deep-seated cult film with more put into it than just its meager budget, Yor is an admitted favorite of mine. I have no illusions about its content, but it’s entertaining despite itself and the negativity towards it at the time of its release seems unwarranted. It was disregarded almost immediately as a failure, but it quickly gained a minor following through VHS rentals, and later on, bargain bin DVD releases. Its debut on Blu-ray isn’t perfect, but it’s better than not having it at all, especially with the Reb Brown audio commentary which gives you a new way to have fun with it. And come on, with a price tag that’s under $10 (closer to $7), how can anyone complain?